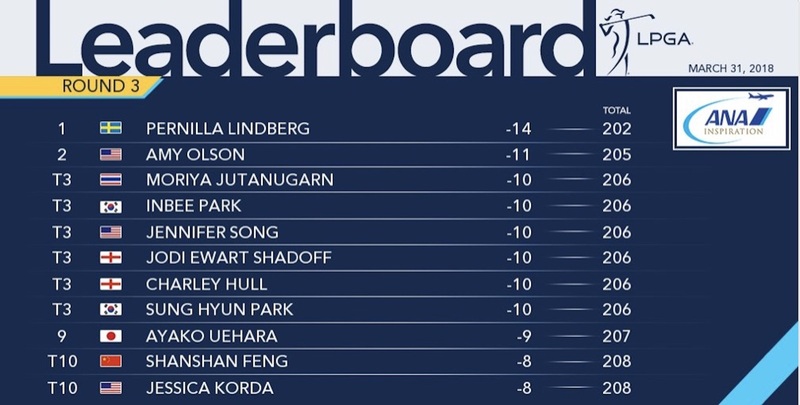 Lindberg's shot a two-under round of 70 to leave herself at 14 under after joint overnight leader Park Sung-hyun's back-nine collapse, which saw her drop five shots to card a two-over-par 74 and drop back into T3. Ewart Shadoff and Hull are four shots off the lead among a pack of six tied for third, after rounds of 69 each, whilst American Amy Olson is in second place. Ewart Shadoff opened with an eagle-birdie on the second and third, but then double-bogied on the seventh. Birdies on the 9th and 11th, and 18th were offset by another bogey on the 12th, but she carded a three-under-par 69 to sit four shoots off the leader. 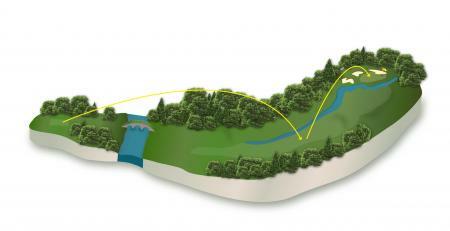 Charlie Hull had birdies on the second, sixth and eighth to make the turn in three under, with no dropped shots. Her back nine was not such a smooth procession, as she dropped shots on the 13th and 17th, which she managed to offset with birdies on the 11th and 12th to card a 69 to add to her opening rounds of 69 and 68. It has not been the start to the major season that Lexi Thompson would have wished for, as she is back T17 after rounds of 68, 72 and 70.